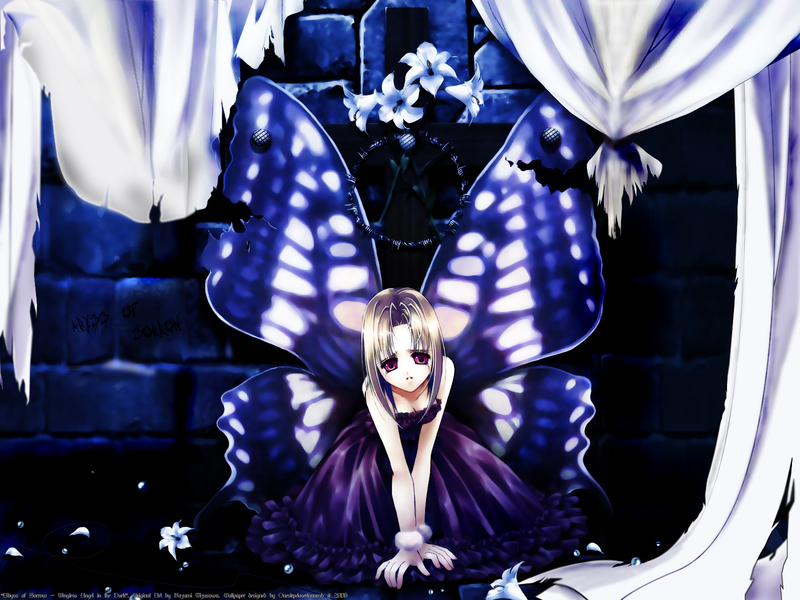 nice wallpaper, the background scene is very good, i like the charas wings. How pretty! The background looks very nice. Such a lovely scan! You did a really great job! this is so lovely. i love the destoryed curtain and the black and blues that are used in this wallie. it truely is a stuning and enchancting wallie. oooooooooooooooooaaaaaaaaaaaa! que hermoso wall! las alas de mariposa se ven geniales, excelente, felicidades! I love the butterfly wings and the torn curtain, the darkness of it all...+Favs for me, and keep it up! Very nice! Thanks for sharing this picture!